The Home Inspector Found Radon, What Now? When the Home Inspector finds Radon, what does this mean to you and to the home sale? Whether your home is on the market, or you're looking to buy, one of the most nerve wracking moments of the process is likely to be the Home Inspection. As the home inspector combs through the property, thoroughly looking for issues that could present a problem for the new owners, the likelihood is that they will find something. But what if they found Radon? Is it a deal breaker? What is it? 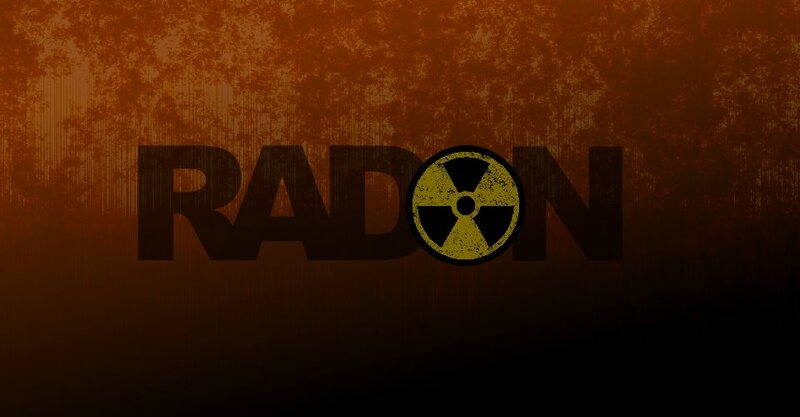 Radon is a colorless, odorless, and tasteless gas that is only detectable through specialty testing, and which has been shown to cause cancer. Once testing has been performed and has indicated that there is a problem, installation of a Radon Mitigation System will be necessary to reduce the Radon levels to within an acceptable range. Is it a deal breaker? No. Once a Radon Mitigation System is properly installed and testing has been conducted to show that it is adequate, the issue has been resolved and the indoor environment is considered safe. How severe is it? While many home owners believe that the Radon Level is the chief indicator of severity, and it does play a role, it is not a primary consideration. Often, the actual construction of the home is a much better indicator of issues that may arise during the install, such as inaccessible crawl spaces, excessive cracks or a slab in poor condition, water drainage systems or sump pumps, and limited access to the slab (Such as in cases where much of the basement is finished). What is there to consider? The State of Pennsylvania requires that all Radon Mitigation Companies be Licensed to perform this work (Disaster Blaster's License # is: 2848). You can find a full list of Licensed Radon Mitigation Companies in your area on the State's Radon Services Directory under Certified Mitigators. As each home is unique and the system needs to be designed for that property's specific needs, you should avoid companies that provide a bid over the phone without looking at the property. As Radon is an invisible gas, there is no way of knowing for certain that a system is sufficient until post testing has been performed. In some cases, additional suctions points or work may be necessary in order to bring the Radon level to within an acceptable range. What about repairs and additional steps? Post testing will be required in order to ensure that the system is sufficient and is reducing the Radon level to an acceptable range. Testing should be conducted no sooner than 7 days after the installation of the Radon Mitigation System, as it will take this time for the property to reach equilibrium. One of the biggest mistakes we see in realty transactions is homeowners that do not allow enough time to perform testing. Due to geologic changes that may occur under your home, it is recommended to test your home every couple of years, or whenever changes have been made to the home, such as an addition, to ensure that nothing has changed and your Radon level is still at an acceptable level. How long does it take? The Radon Mitigation System installation takes about a day to complete, however testing cannot be performed until the property and system reaches equilibrium, which takes about 7 days. Once the test is completed, you should have the results within a week. We hope you found this information helpful! As every home is unique and each Radon System must be tailored to the needs of that individual home, it is always best to contact a qualified Radon Mitigation Company in order to get accurate and specific recommendations and information. Being proudly Licensed by The State of Pennsylvania to offer Radon Mitigation Services, our offices are specially qualified to assist you and are always happy to help. Please don't hesitate to Contact Our Offices should your home inspector find anything that we can assist you with!